Will Solomon got the start after working in relief over the weekend. He pitched 4.1 solid innings to get the win. The bullpen went 4.2 innings and didn’t give up any earned runs. Nathan Harsh gave up a double but struck out the side in his lone inning. Freshman Travis Bergen is still impressing. He pitched a scoreless 7th and struck out two. Kal Simmons’ 6 game hitting streak was snapped but he scored a run and walked twice. Bo Way’s hitting streak is now at 16 games. The Owls managed 11 runs on 10 hits. All of the hits were singles. Jacob Bruce and Peyton Hart each had 2 RBI. Andy Almonte reached base safely three times. Catcher Jacob Johnson got his first collegiate start, at DH, and went 1-4. KSU stole three bases on the day. Hart and Liquori recorded their fifth on the year while Jacob Bruce got his first. 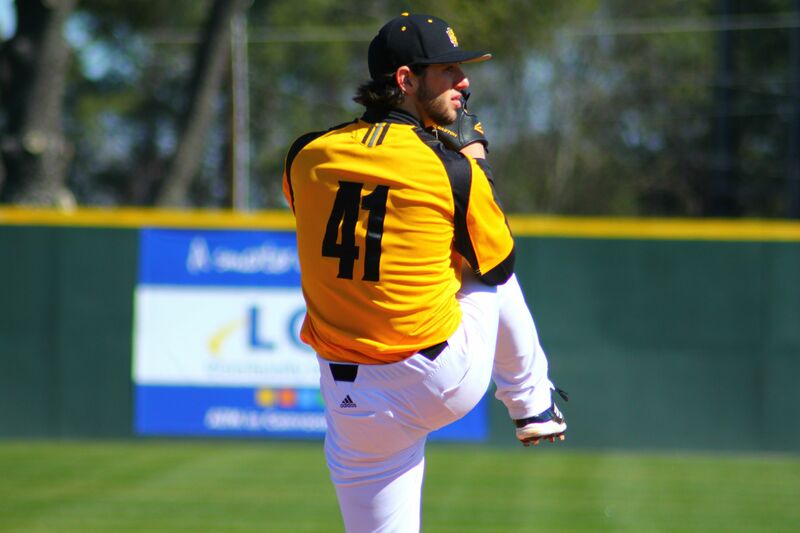 KSU struck out 11 batters and Savannah St. only struck out 2. The Owls are back in action at home on Friday at 6:00 against Northern Kentucky. Stephen Janas is expected to take the mound. Redesigned Website and Forums Are Here!